Leizhan manufactures the whole sets of tissue paper making and pulping machine. We have provided a lot of projects for our customer all over the world, such as India, South Africa, Iran, etc. 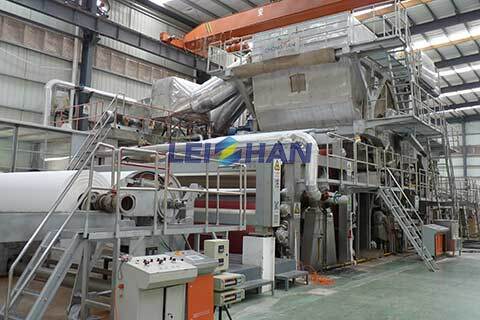 Leizhan also lay down tissue paper pulping line for customers. According to the different raw material, the regular tissue paper pulping line divides into wood pulping line(for wood pulp), waste paper deinking line(for waste newspaper pulp).